Last updated April 3, 2019. The Health Insurance Portability and Accountability Act (HIPAA), sets the standard for protecting sensitive patient data. Any organization dealing with protected health information (PHI) must ensure that all the required physical, network, and process security measures are in place and followed. This of course includes HIPAA compliant email. Organizations include Covered Entities (anyone who provides treatment, payment and operations in healthcare) and Business Associates (anyone with access to patient information and provides support in treatment, payment or operations). This also includes making sure you have HIPAA compliant email baked in when it comes to your email service provider. Even subcontractors, or business associates of business associates, must also be in compliance. If you are using a third party to transmit or host PHI, they are required by law to sign a Business Associate Agreement (BAA) with you. The BAA establishes that certain administrative, physical and technical safeguards are in place. While there’s no certification that makes an email provider achieve HIPAA compliant email status, meeting the requirements set by the HIPAA Privacy & Security Rules is the best place to start, along with strong technical security measures to make sure PHI is protected inbox to inbox. Accidental and non-malicious internal threats are increasing as well. How can you be sure you have a HIPAA compliant email service? 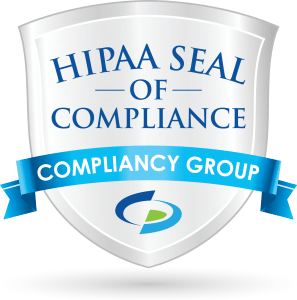 In order to make sure your organization has HIPAA compliant email, you need to be sure you have processes and workflows in place to insure your staff is properly trained on HIPAA compliance. But you also need the right technology to be sure those procedures can be made as efficient as possible. This is especially important to overcome human error, such as forgetting to press a button or type a password to encrypt an email. Human error accounts for the vast majority of email related HIPAA violations. Gmail. By far, one of the most popular email providers in the world, Gmail is not HIPAA compliant. But as we went through in a previous post, you can make Gmail HIPAA compliant with a few extra steps. Yahoo. Another popular email provider, Yahoo is not compliant. GoDaddy. A lot of people use GoDaddy’s hosting service and subsequently use GoDaddy’s Office 365 product, but not all Office 365 email is created equal. Host Gator. Another popular web hosting provider that offers email hosting and is not HIPAA compliant. This is because normal email was created with the priority on delivering messages, not security. Even if your email provider does secure email with TLS encryption, that doesn’t mean your message will be delivered securely. That’s because if the recipient’s email provider doesn’t support TLS, your message will be downgraded and delivered unencrypted in clear text. Google’s own data shows that only 87% of email sent with Gmail is delivered encrypted. For HIPAA, 87% isn’t good enough. Only 100% encryption is acceptable. Seamless encryption is about providing the expected benefit – HIPAA compliant email – without asking senders or recipients to change behavior. This greatly reduces the risk of accidentally sending PHI over email. It is a giant burden to have staff make a decision on whether to encrypt an email. It can be easy to forget to press an encrypt button or type a keyword before sending an email, or simply not realizing there was PHI in an email that was sent. For recipients, it can be a hassle to have to login to a portal or go through extra steps just to view a message. Especially when trying to view messages on a mobile device. Paubox’s Encrypted Email allows users to write and send emails as normal from a laptop, desktop and mobile devices. Your recipients will be able to view messages and attachments without needing to enter extra passwords, download an app, or login to a portal. Even replies are automatically encrypted. Paubox also integrates with G Suite, Office 365 and other commercial email providers, so you don’t have to change your email address. If you don’t have a provider yet, Paubox can also host your email address. Even better, Paubox’s HIPAA compliant email solution gives you the option to add on robust SPAM, virus, ransomware and phishing protection. Phishing scams are still the most common way email gets hacked and continues to lead to HIPAA violations. Business Associate Agreements are available with all paid accounts, no minimum number of users required. Looking for HIPPA Compliant Email? People often get confused between HIPAA email and HIPPA email. HIPAA is commonly misspelled as HIPPA and it’s easy to mistakenly google for “HIPPA compliant email” or “HIPPA email.” Google however, is smart enough to know the correct spelling and will point you to the right pages by default. In a nutshell, “HIPPA compliant email” or “HIPPA email” are not correct. “HIPAA compliant email” or “HIPAA email” are the correct search terms.